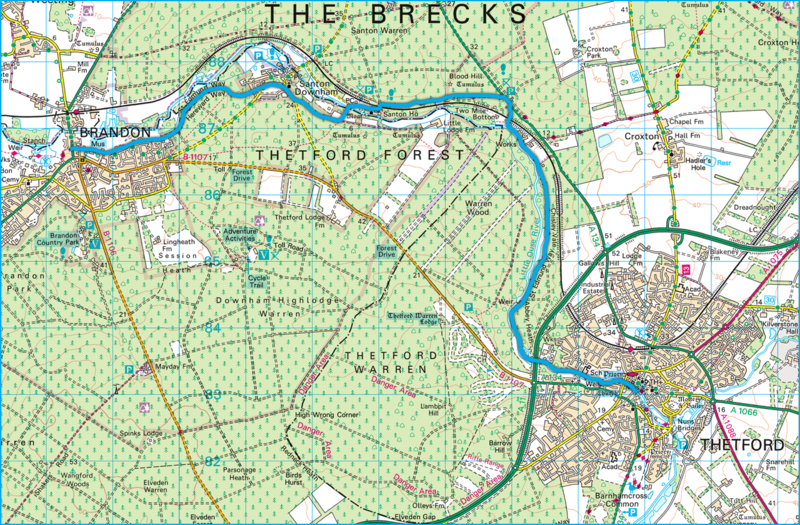 The final day of the St Edmund way follows the Little Ouse west of Thetford to end at the Suffolk town of Brandon. Thetford Grammer School - the site of Thetford Friary and near to the location of Thetford Cathedral (no longer present). The riverbank path in Thetford. A fishing lake just past the A11. Following the path along the Little Ouse. The first Weir along the Little Ouse. Just past the station marks a splitting of the St Edmund Way with the Little Ouse Path. The site and earthworks of St Helens Church. A lovely view over the railway line. The small church in Santon Downham Country Park. Earthworks of a Moat - probably Santon Downham Hall. A marker for the start of the Little Ouse path and the end of the St Edmund Way in Brandon.